The Sata cables were provided with the P8P67 Deluxe. Last PCI slot has a wireless adapter as the Folding location makes using an Ethernet cable impossible. That is just mesh as part of the top of the case. I'll probably look for solutions to block that with soundproofing and improve the positive airflow. PC soundproofing for cases is expensive as is LED lighting and need to have a look around for cheaper options. On my 800D it has 2 holes for the tubing while this budget 300R has 3. Certainly won't be watercooling with this amazing cooler, I will get better 3570K temps by de-lidding maybe next week. The average temperature at 4.8GHz is 63c and the whole system consumes only 124W running the intensive folding software all the time. I'm wondering what this crazy 3570K is made from! When I de-lid I can see this 3570K doing right down to 50c tops. Seeing other people de-lid and their resulting temperature drops of 20-30c really impressed me. When Intel release their Haswell I'm going to upgrade after seeing what Ivy Bridge is capable of bearing in mind I haven't played about with pushing it further. Overall performance gains should be about 2x for GT3 (presumably with eDRAM) over HD 4000 in a high TDP part. Comparing Haswell to Conroe, the OoO scheduling window has grown by a factor of 2x, despite generation to generation gains of only 14 - 33%. On the topic of delidding, I'm not sold. The gains are anywhere between 5C to supposedly 35C, which I flat out do not believe. There is no way that TIM is THAT bad between the IHS and the CPU where you can get 35C gains simply from removing it. The only way they got those gains is if they had their cooler mounted horribly before delidding and were using horrible TIM. I thought about delidding, but I don't have another spare $220 if it goes wrong. No matter how easy it looks, there is always the risk. Lol, this coming from the guy that has taken soldering irons to multiple graphics cards worth over $300. 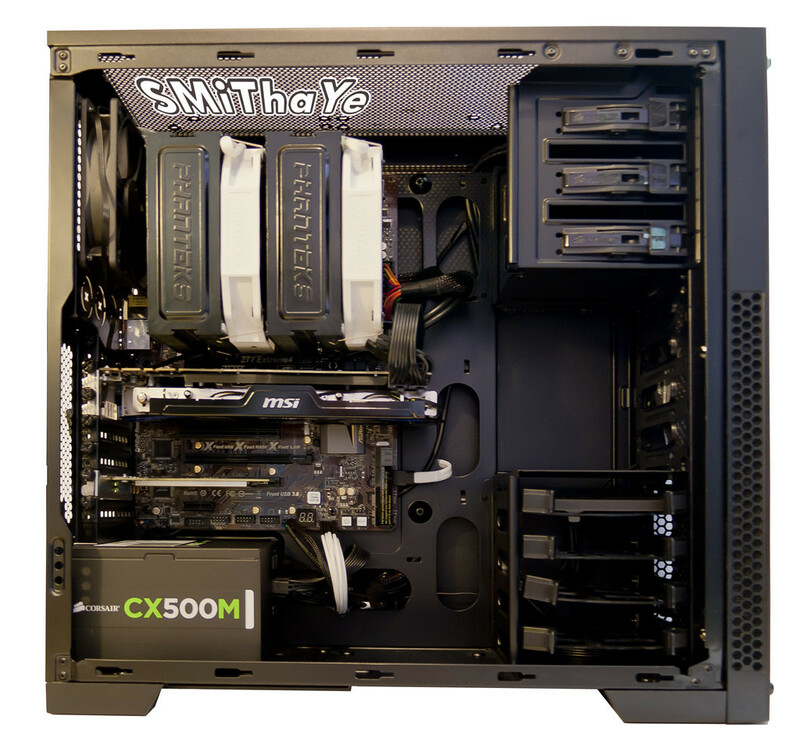 Going to order a load of white NZXT braided cables for the Folding PC and should get them by Friday. I ordered an extra one for some if I ever want to use it in future or for gaming PC. Was going to order foam kit but those are out of stock even though they are selling for £25 which is half the price of my budget PSU. 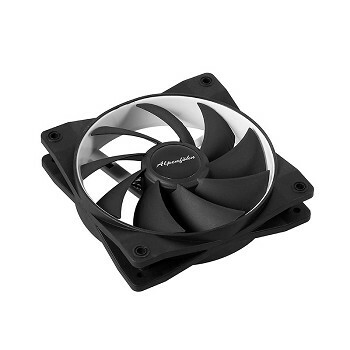 I need to replace that ugly stock 120mm exhaust fan too and get a decent fan with white blade and black frame (3-pin) like the Scythe Gentle Typhoon. I have a few voltage reducers if it's too loud but maybe someone recalls a better alternative? Oh, and I ordered 16GB of Sammy Greens on sale to assist the 3570K and can get it from 1600MHz stock to 2400MHz, maybe higher depending on board. lol no comment on anything? Oh yeah, thanks for the info on Haswell and don't know how I missed your post. 30% is still a big gain and would equal 16,800 PPD which is what most mid-range CPUs would score on Windows, as for gaming probably an extra 10fps mostly depending on current overclocks being maintained on Intel's next tock. A document, leaked earlier this month by PC Online, claimed that the performance gain of Haswell chips over Ivy Bridge counterparts will be more than 10% in some non-graphics applications. The document also stated up to 3x better performance for 3D graphics, and up to 2x better performance when converting video, although it's likely that these numbers are applicable to GT3 graphics only, and the GT2 Haswell graphics on desktop parts will not have as much advantage over the HD 4000 GPUs. However a 35C drop is like going from really bad air cooling to mid range custom loop liquid cooling and I can't see it coming from simply delidding. If it did then everyone would delid their Ivy Bridge CPUs. Check out the akasa viper s-flow it has yellow blade , but if am not wrong it is the best and quietest case fan of 140mm range( dont compare to loud and ugly Typhoon ) . with 110.61 CFM , 3.12 mm H2O and 12.5 to 26.01 dB(A) i am sure it will move a looooot of air. That Intel Liquid cooler temps is very poor for a 3770K @4.4GHz with fixed 1.25vcore. Surely the 3770K with HTT isn't that much hotter than my 3570K @4.8GHz that only hits 63c at 1.3vcore. Here is a photo I took of my new MSI GeForce GTX 660Ti Power Edition OC (N660TI-PE-2GD5/OC) that I received today. It's already setup but I need to install Windows 7 and setup Folding again. This card first came to the market in August 2012 and comes highly recommended. Very impressed with the card, well protected in soft foam with some decent documentation and the CD, always grab the latest apps from the website. Features 2x6 Pin PCI-e connectors, Twin Frozr IV fan design, triple over-voltage via MSI Afterburner, Military Class III components. Upon opening the antistatic bag I noticed the MSI logo on the PCI-E connector. It does look great. The thing I don't like with this card is a brown pcb, it just doesn't fit to this color scheme. I wonder how it performs, I mean, can it beat ZoSo's card? When I seen this card I knew I had to have it and can't wait to start using it The brown PCB is fine as the ASRock Z77 Extreme 4 board is also brown but agree that brown PCB with blue cooler bizarre, should have been black or very dark green like my GTX 680s. When the drivers are installed I will give it a run on AIDA64, 3DMark11 and 3DMark even though that's not what it's built for. I'm not going to mod the BIOS Power Target in order to try to match your impressive GTX 670 performance WhyCry. Will make do with tweaking Afterburner or Inspector power states for better stability in 24/7 use. Despite that I have high hopes for this cracking 'little' card. Will image the SSD to a spare HDD (lean installation means it will be very quick) before installing benchmarks in order to keep the drive/OS as clean and lean as possible. Only took the HDD out today and it may have to go back in. Well my 670 is asking for a replacement. 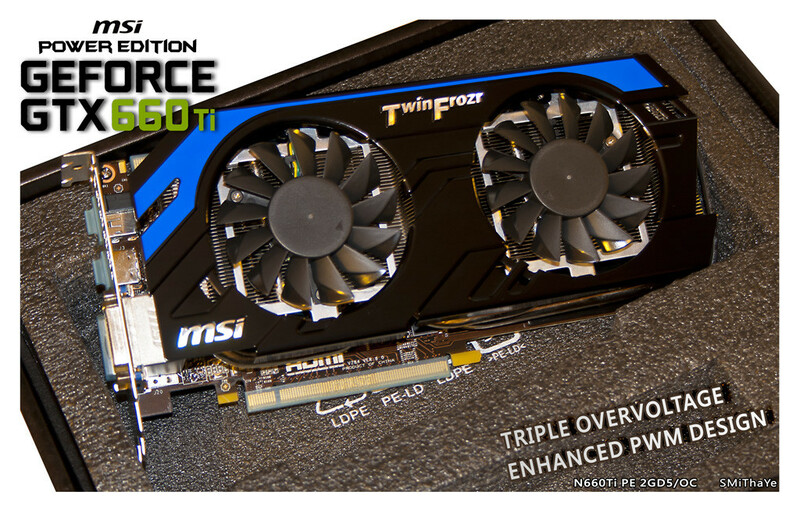 As an editor of graphics card website I should have like 5 cards and change them daily. I really expected something to be announced at GTC, but it seems I will have to wait for that Titan Lite. Anyway, I'm pretty sure your card can beat mine, since it's my gigabyte isn't really highly overclockable. This is the latest photo of the Folding PC with the new GTX 660 Ti installed and pleased it's just about finished. Most of these cables to the board will be white, I have the 24-pin on backorder and the rest will follow then I'll tidy up the cable routing so I'm 100% happy, behind the board is cable-managed with an industrial roll of Velcro to cut to size and is always much better than cable-ties in my opinion. That black cable going near the white Sata cable is the HD Audio cable, the extension cable isn't long enough to hide the join, sods law the that HD Audio header in all the way over there lol otherwise I could simply disconnect it and hide it.